In October’s blog, The Importance of Viral Video, we talked about adding video marketing to your marketing initiatives. Although it is important to utilize video in your marketing mix, visibility and accessibility are the keys to increasing your readership. Having a company video is just not enough; you have to get it out to your target market in hopes to make it go Viral. Tags and Keywords- Relevant tags and keywords are essential to gaining the right audience. Since acquiring YouTube, Google has put videos on the top of their search results meaning your video may come before any written content. Multiple Sites- Don't just stick your video on YouTube, explore different types of video hosting sites to gain more exposure. Video length- "After watching an online video for a full minute, 44.1 percent of viewers will have clicked away," according to Visible Measures. 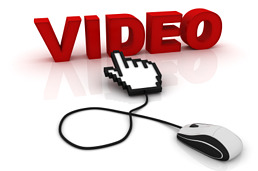 By shortening your video you are increasing the chances your audience will watch it in its entirety. Using Multi-Touch Points -View other videos on the topic make sure to add comments and create touch points to your video. Also remember to link the video to all of your company's social media resources (Twitter, Facebook, blogs, etc). Add Annotations- Make use of annotation Tabs. This allows you to add explanatory text to your video which will lead to more information that can be searched. For more suggestions Click Here to hear expert Ramon Ray talk about improving your video and increasing visibility.